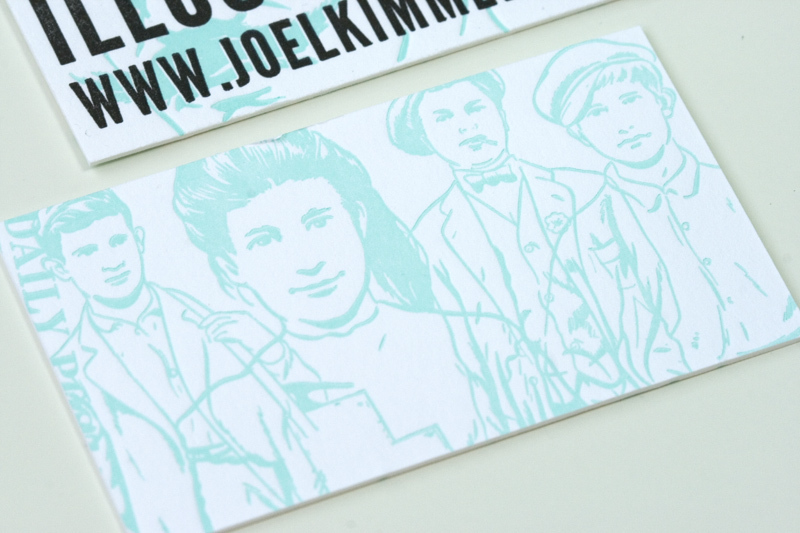 You know what one of the perks is to owning your own letterpress business? 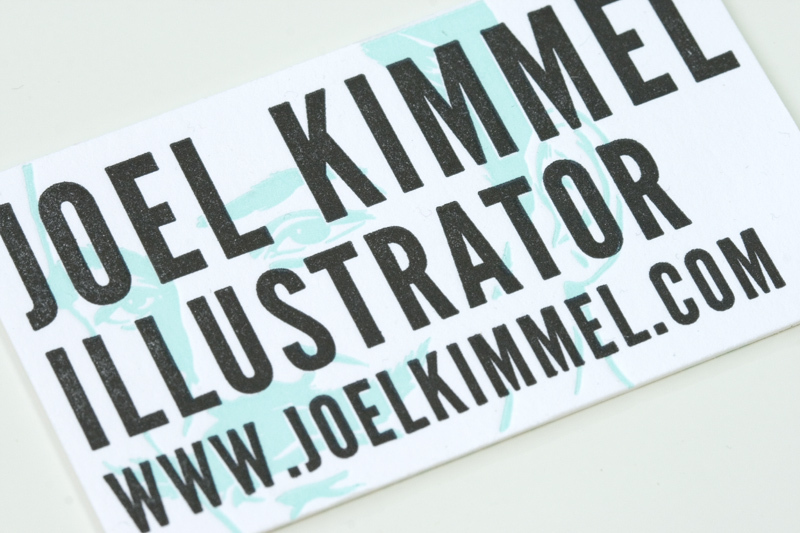 Being able to print sweet, over the top business cards for yourself, that’s what! 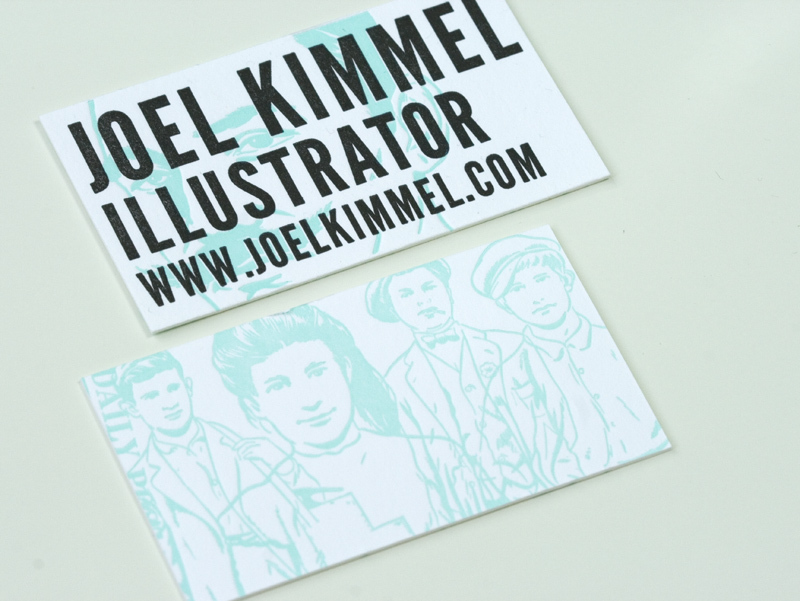 The other half of the Papillon Press team, illustrator Joel Kimmel, needed a business card to attend a conference so of course he designed and printed a fancy one, featuring his own illustrations and big, bold type.